What is XML? 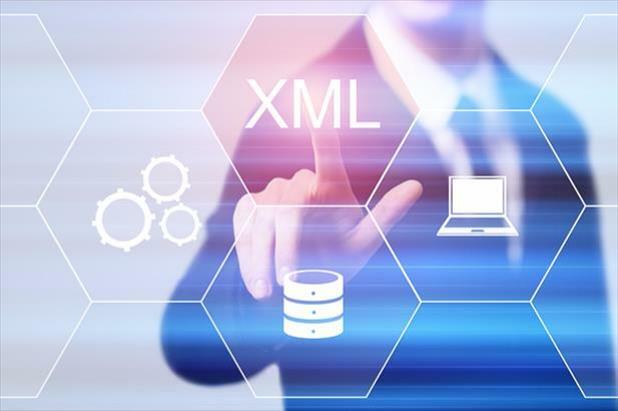 Simply put, XML is a tool for storing and transporting data. Similar to HTML, XML is information wrapped in tags. However, unlike HTML, XML is focused on what data is as opposed to what data looks like. One example of this is that XML does not use predefined tags – the author defines both the tags and the structure, and the XML will continue to work as expected even if new data is added or removed. Are you confused yet? I know I was when I first looked into XML feeds. If you’re not a software developer, basically all you need to know is XML simplifies things. How often have you had to deal with compatibility issues when trying to exchange data between different computers or systems? Quite often, you’re trying to convert a large amount of data and any incompatible data could get lost. What XML does is store your data in plain text format. This allows XML to be independent of any software or hardware constrictions, as well as make it easier to expand or upgrade to new systems, new applications, etc. without losing any data. Any machine can be an XML feed reader, whether it’s a computer, online news feed, or even a person. When would you use an XML feed? XML should be used whenever you have data that will be shared across various networks or devices. Some XML feed examples could be a CD catalog, a food menu, or a list of open positions a company is looking to fill. Something to remember: If you’ve never generated XML before, you’ll want to syntax-check your XML via an XML feed validator. W3Schools has a great validator tool. Are you as excited as I am now about XML feeds?! Stay ahead of the competition and be an early adopter of our Job Wrap product which allows job ads to be captured from an employer’s website and automatically posted to a job board or select group of external sites by simply providing an XML feed or career site URL. Any jobs listed will then be automatically posted to the appropriate iHire community where you’ll be able to reach a unique pool of industry-focused candidates you won’t find anywhere else. Interested in learning more about Job Wrap? Talk to one of our Account Managers today at 877-316-4041 to discuss how Job Wrap can help your company expand its reach.